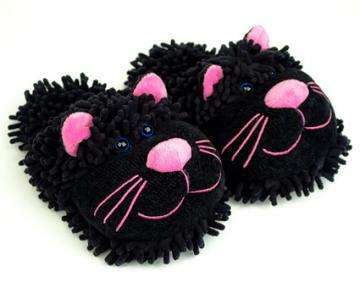 Curl up for a cat nap in these adorable Fuzzy Black Cat Sock Slippers. 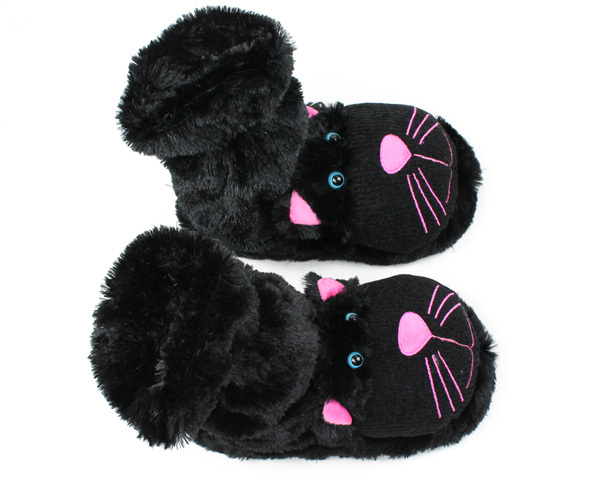 These slipper socks feature the face of an adorable black kitty cat and are sure to bring a smile to your face. 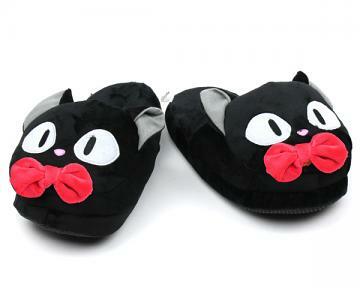 You'll have no bad luck with these black cats! 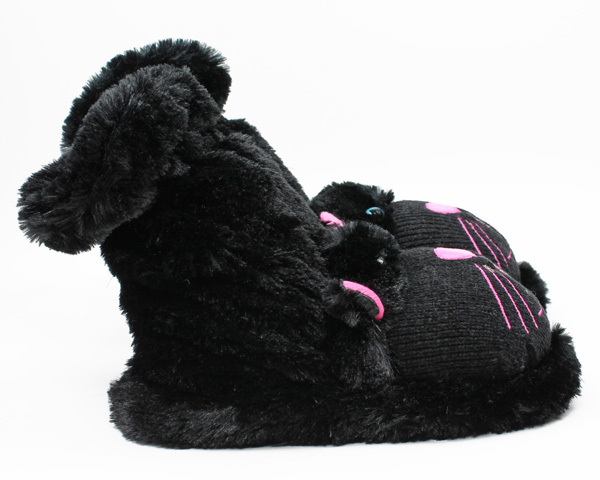 Silky soft and plush materials keep your paws, and legs, warm no matter how cold it gets. The elastic band at the top keeps the slipper from falling down, and the PVC sole has multi-grip surface so you won't slip around. 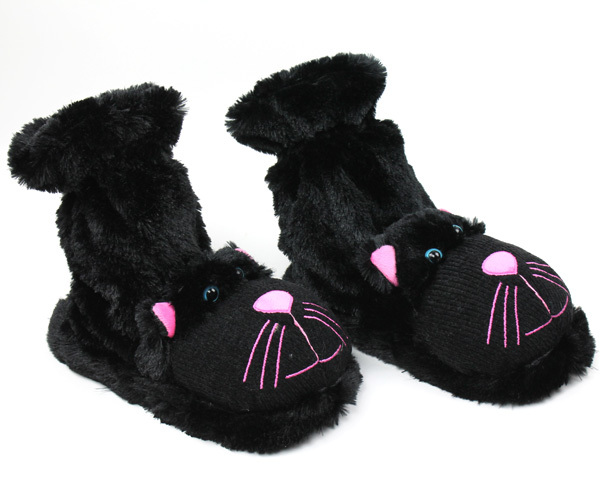 A great addition to my animal slippers collection! Advantages: Very soft and comfortable. Disadvantages: The animal itself is bigger then expected.